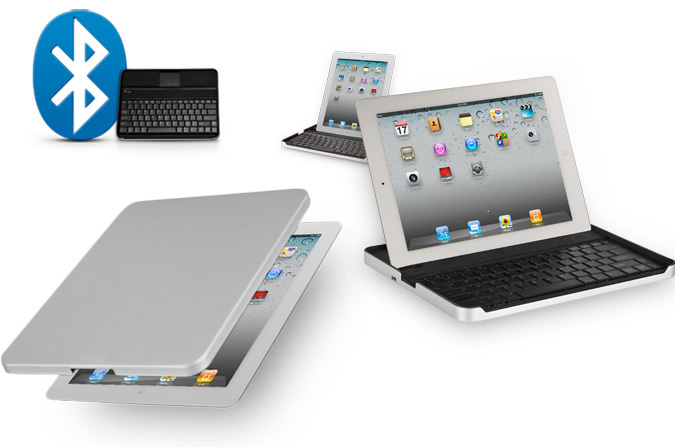 Logitech today unveiled its new accessory which is designed especially for Apple’s iPad 2 tablet. It is a protective case which has a folding hinge, which makes it easy to place your iPad 2 in either portrait or landscape mode and is equipped with an embedded Bluetooth wireless keyboard for added convenience when typing. The Logitech Keyboard Case has been developed in partnership with ZAGG and is made of precision-cut aircraft-grade aluminum. It wraps around the iPad 2 to cover the screen and sides and inside has a “military-grade, high-density padding”, to help cushion and protect iPad 2 if accidentally dropped. The keyboard is charged via USB, so you don’t need to worry about replacing batteries. The Logitech Keyboard Case is expected to be available in the U.S. in April 2011 for a suggested retail price of $99.99.